This story depends heavily on the reader having already read “Brother’s Ruin.” It will make little sense without that. See related articles on Tor.com. 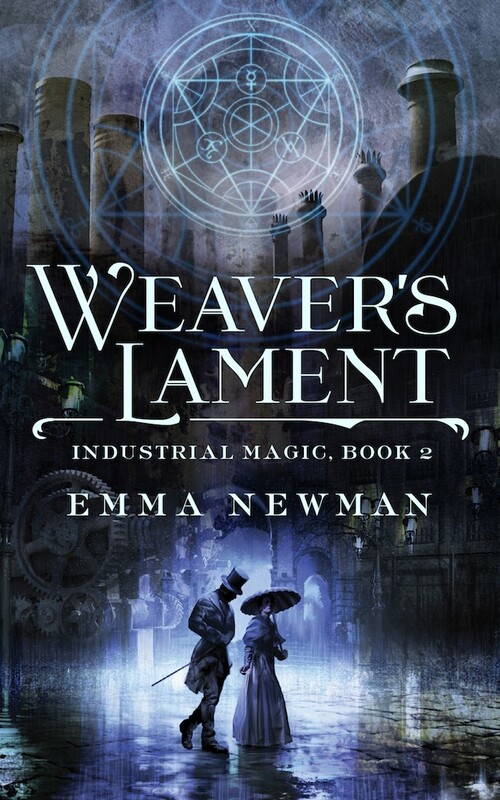 "Weaver&apos;s Lament," by Emma Newman [bio] (edited by Lee Harris), published on October 17, 2017 by Tor.com. Pro: The main plot is clear enough: solve the mystery and get Ben promoted. Charlie manages most of it herself, with just a bit of help from Hopkins and Ben. Ben gets all the benefits, of course, but that was the plan all along, and it’s more important that Charlie improve her skills than anything else. Charlotte’s concern for the workers makes her a very sympathetic character—particularly when we learn that she always looks under the loom to be sure there are no little fingers still in the mechanism. Con: No one else is very likable, though. Although Ben apologizes for what he’s put Charlotte through, he certainly had to know, and his offer to pay her was reprehensible. Charlotte's outspokenness throughout her employment at the mill is hard to credit, and it makes her stand out. The narration has a bad habit of telling us things we already know. E.g. reminding us that George will be transported if this fails.